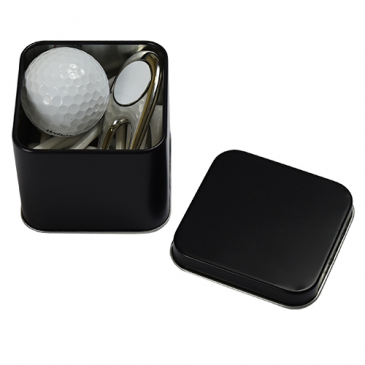 The Deluxe Tin for the Corporate Golfer has eveything needed to get going. Golf ball - check! Slick design pitch repairer - check! Tees - check! New matte black square tin - check! 1 x Ultimate OR Elite Pitch Repairer - Your choice!